A collection of old and historical maps of the United States. New Netherland, by Nicolaas Visscher II, ~1684. 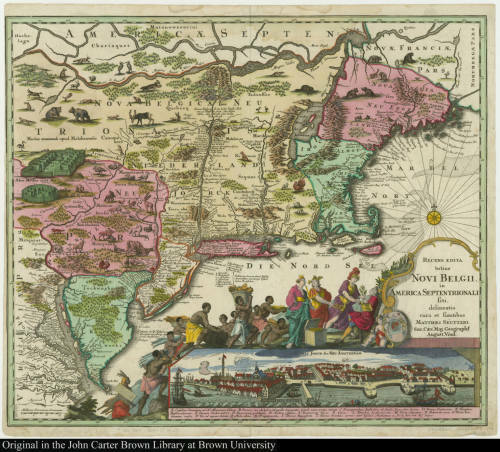 British and French dominions in North America, John Mitchell, 1755 and 1761. 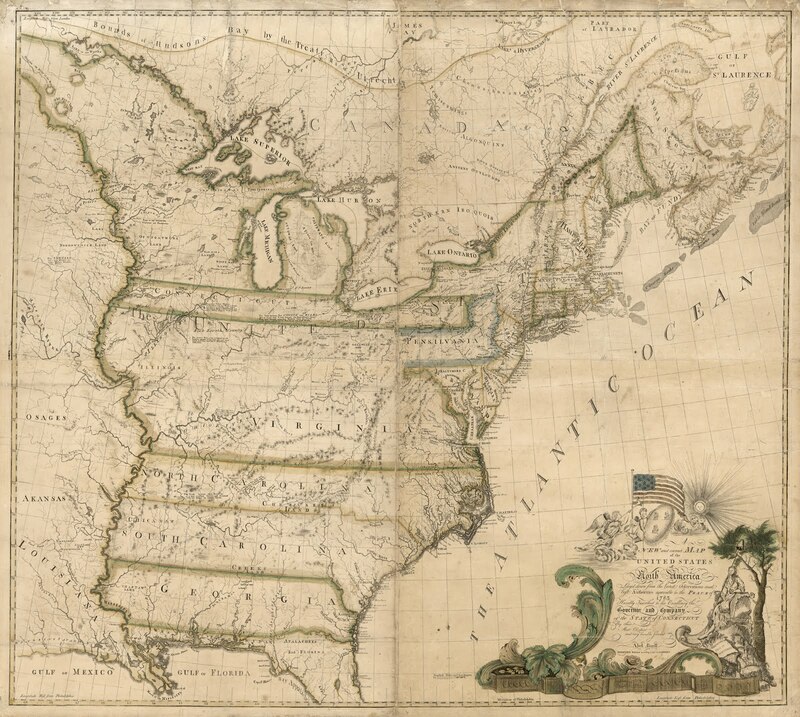 A new and correct map of the United States of North America is the first map of the United States drawn and printed in the US by an American; it was printed in Connecticut by Abel Buell in March 1784, six months after the Treaty of Paris. 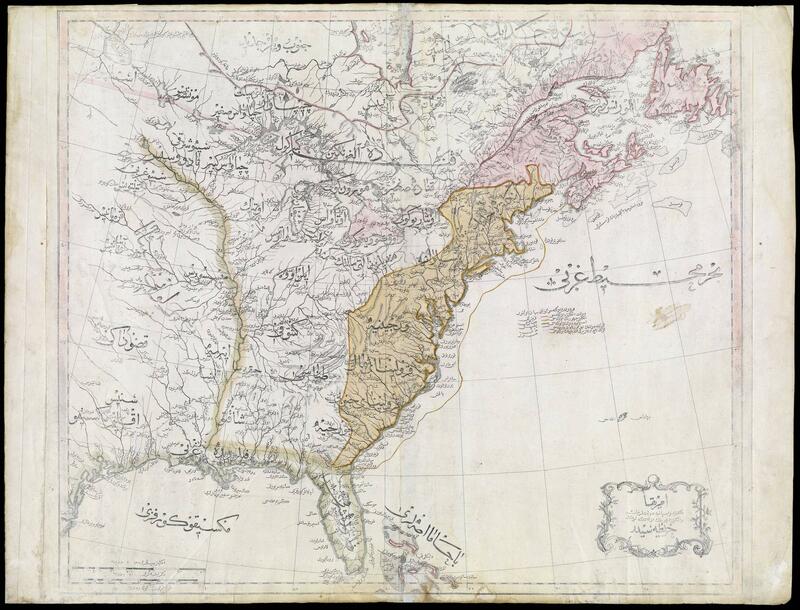 Ottoman map of the US from the Cedid Atlas, 1803. 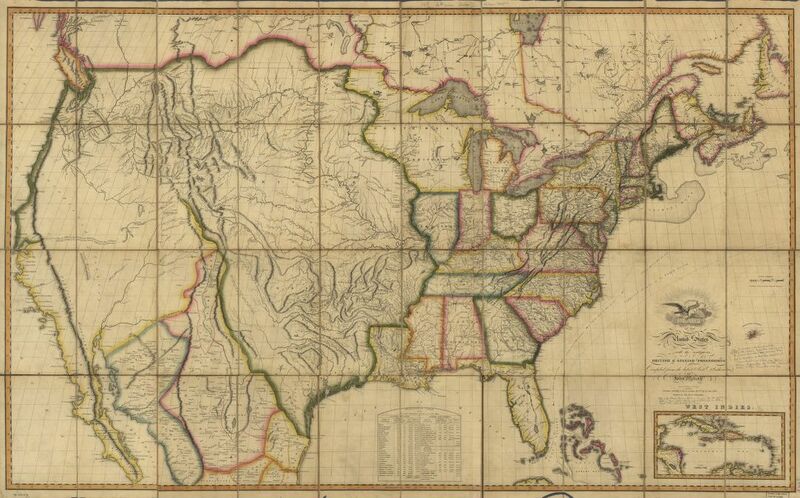 Map of the United States of America: with the contiguous British and Spanish possessions, 1816. 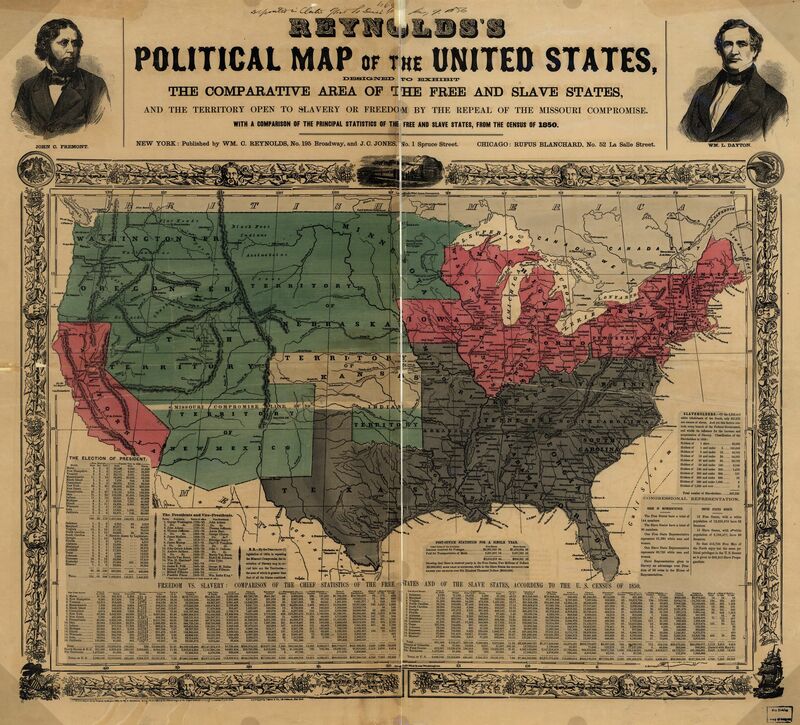 Political map of the United States, 1850. 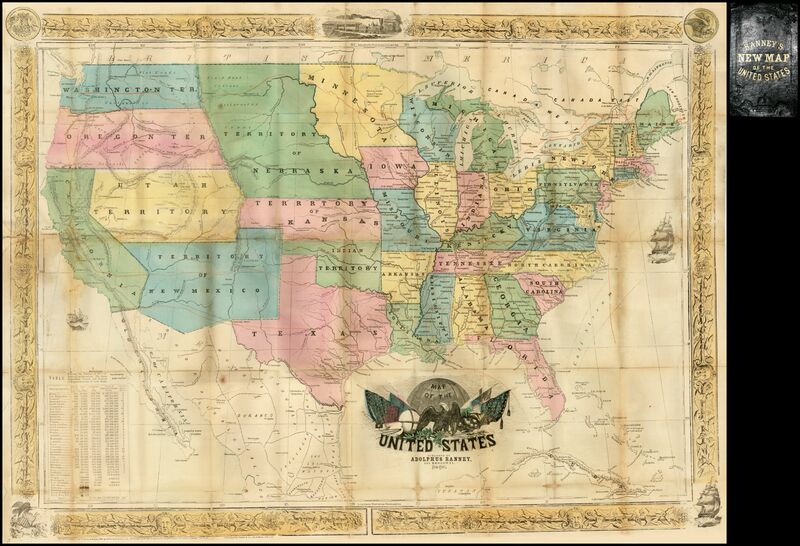 Ranney's new map of the United States, 1854. 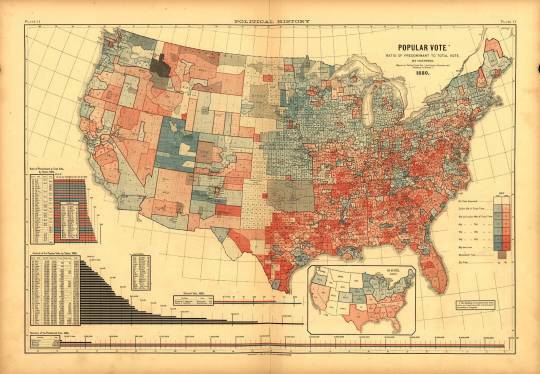 Popular vote at the 1880 US elections. 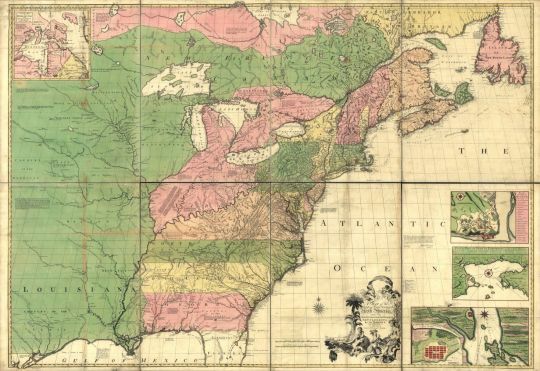 Map of the United States showing Routes of Principal Explorers from 1501 to 1844. 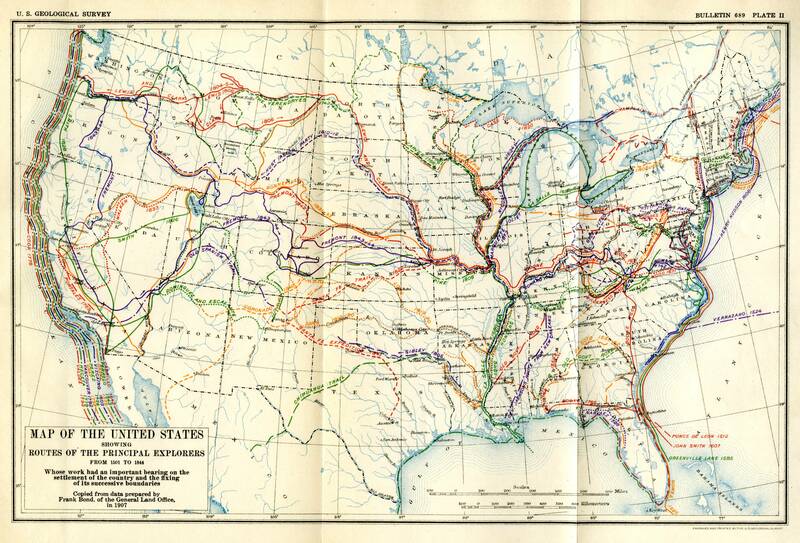 Engraved and printed by the U.S. Geological Survey, 1907. 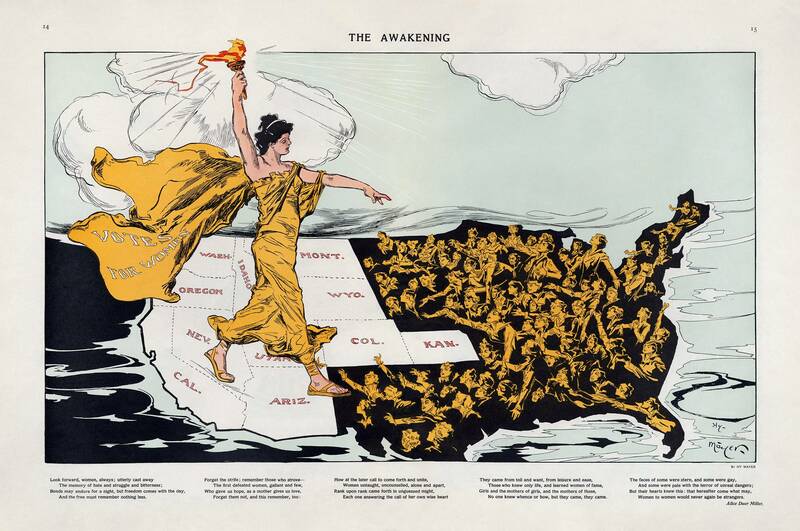 The Awakening, an illustration from 1915 in support of the women's suffrage movement, which quickly expanded from the newer Western states towards the east. 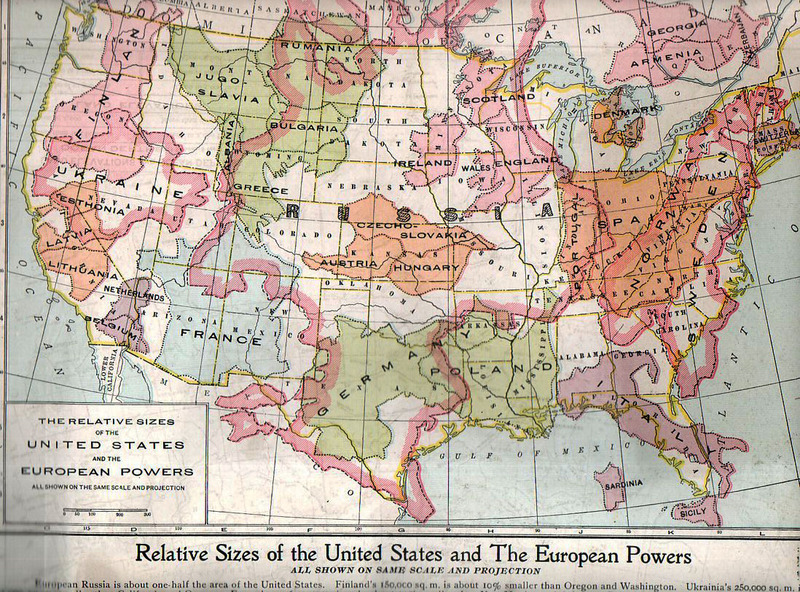 Relative sizes of the United States and the European powers, 1920. If We Enter a World War -- and LOSE, Los Angeles Examiner, November 14 1937. 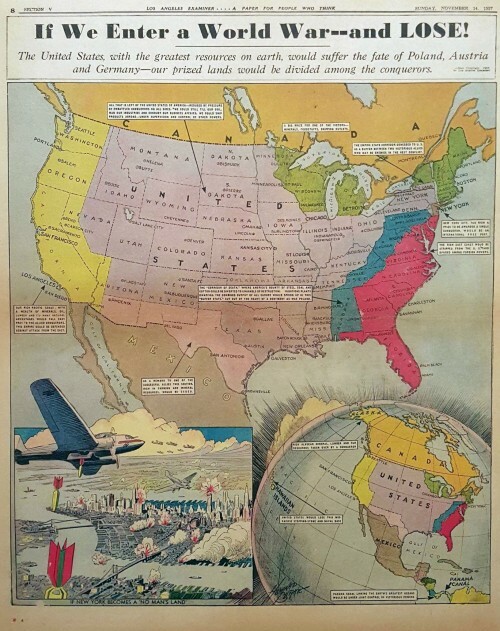 The United States, with the greatest resources on earth, would suffer the fate of Poland, Austria and Germany - our prized lands would be divided among conquerors. 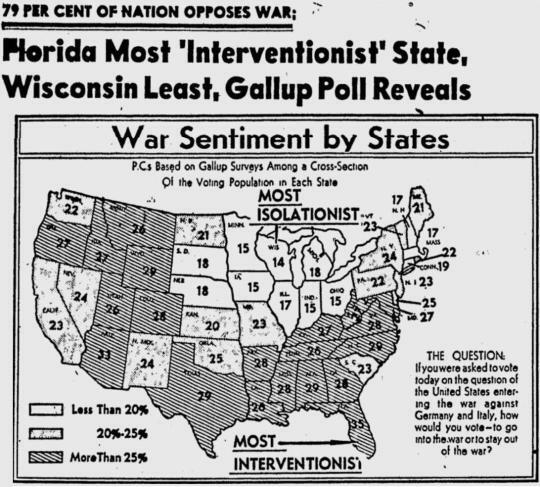 War Sentiment by States from a Gallup poll in 1941. 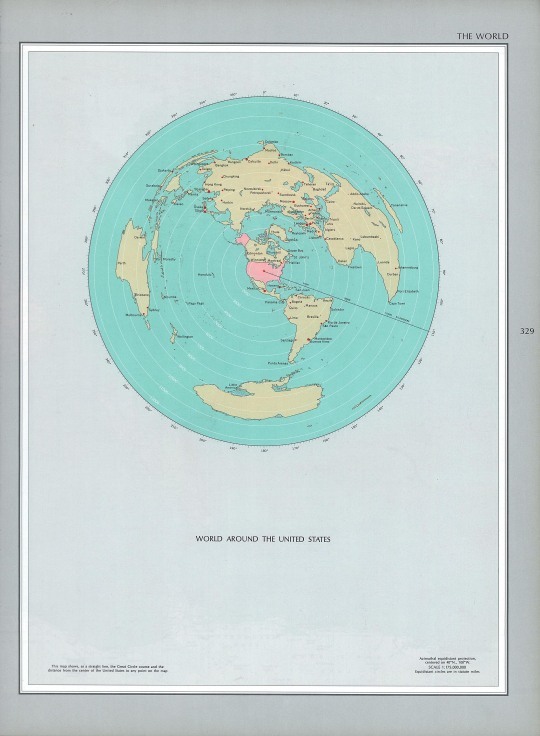 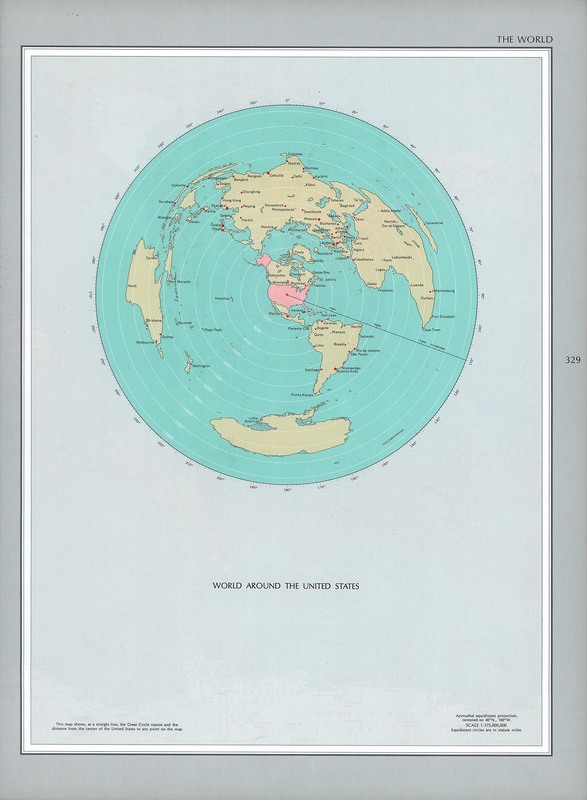 US centered world map, National Atlas, 1970.